None of us wants to admit it, but that nip in the evening air (and the fact that it is October already!) can only mean one thing: Winter is coming. And while we still have about a month of weather warm enough for riding, it’s time to start thinking about putting our bikes away for the winter. 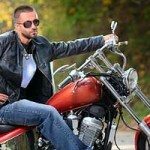 As you know if you’ve been following my blog, I am both a long-time Pennsylvania motorcycle accident lawyer, and an avid rider, so I am just as amazed at how fast the summer disappeared as anyone. And just as bummed about putting my bike away. And it isn’t just the deep, deep emotional trauma of getting out that tarp that’s so depressing, but all of the other tasks that go along with winterizing your motorcycle. To help you struggle through, I’ve put together a quick how-to guide to help you get your bike ready to hibernate until the spring thaw. Clean It Up – It’s easy to take pride in your ride when you’re going to be taking it out for a cruise, but getting fired up to wash it down when it’s just going to be sitting under a tarp for 5 or 6 months is tougher. But getting those bug guts and water spots off your paint job will protect the paint from permanent damage, corrosion and rust. So wash it off, dry it completely, and wax it. Then spray any exposed metal with WD-40 to repel any condensation, or moisture from leaky pipes and so forth. Change Your Oil – Used, broken down oil is not good for your lubrication system. Plus, you need to protect your engine’s internals from the moisture and condensation that can gather in your engine in the cold winter air, and rust your pistons and cylinder walls. So after your last ride of the year, in addition to performing the oil change, take out the spark plugs and shoot a bit of oil into the receptacles. Turn the engine over a few times to coat the cylinder walls. Then replace the spark plugs. Finally, check your chain drive, cables, controls, fork surfaces and pivot points to make sure they’re lubricated to prevent rusting and binding. Protect Your Fuel System – One of the most important steps in winterizing your motorcycle is to protect your gas tank from rusting from the inside while in storage. There are 2 ways to do this: draining your tank and treating it with fogging oil; or simply filling it up with gas and fuel stabilizer. Fuel stabilizer is a gasoline additive that prevents deposits from forming inside the tank and clogging your fuel injectors. They also prevent gasoline from breaking down or evaporating, which leaves heavier ingredients from the fuel in the tank, and making starting your bike more difficult next spring. I recommend using the fuel stabilizer method because for the amount of time you’ll be storing the bike, it is easier and just as effective. So after your last ride of the season, add fuel stabilizer, then top off the tank. Disconnect The Battery – Over time, if you leave your battery on the bike with the cables connected, the energy will drain and you’ll eventually need a jump to get going again. There is a device called a battery tender to monitor the charge and top it off, but simply disconnecting the battery for the winter is just as effective and you won’t have to buy anything. When you disconnect the battery, be sure to clean the electrodes and make sure the cables are in good shape. Keep Your Tires Off the Ground – When you winterize your motorcycle, remember that leaving your tires in the same position all winter can cause them to develop flat spots. To prevent this put the bike up on a motorcycle stand, or rotate the tires by simply rolling your bike every few weeks. Put down a piece of carpet or plywood to prevent moisture from seeping into the tires, causing them to become brittle. Check Your Coolant and Anti-Freeze – Make sure you’ve topped off the anti-freeze in your coolant systems to make sure you don’t have a cracked head when you get ready to fire up your bike next spring. Cover It Up – Once you’re done winterizing your motorcycles, cover it with a proper motorcycle tarp. This will keep dust away, but also prevent moisture from collecting and causing rust or corrosion. If you’ll be storing the bike outside, make sure you have tie-downs to prevent it from blowing in the wind. While it may not seem directly related, proper motorcycle maintenance of all types (including winterizing) is an important part of accident prevention. As a long time motorcycle injury lawyer, I’ve seen the painful results of improperly maintained bikes. So to put it bluntly, don’t let it happen to you. 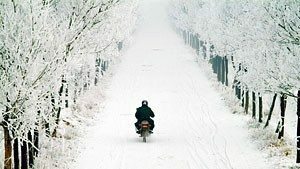 Have more questions about how to winterize your motorcycles and how it can help you prevent accidents? 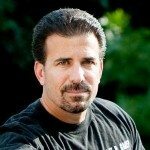 Give Pennsylvania motorcycle accident attorney Lee Gaber, Esquire a call at 1-888-292-5352, to set up your free consultation.